7 “blank” backgrounds are included. See below for more info. 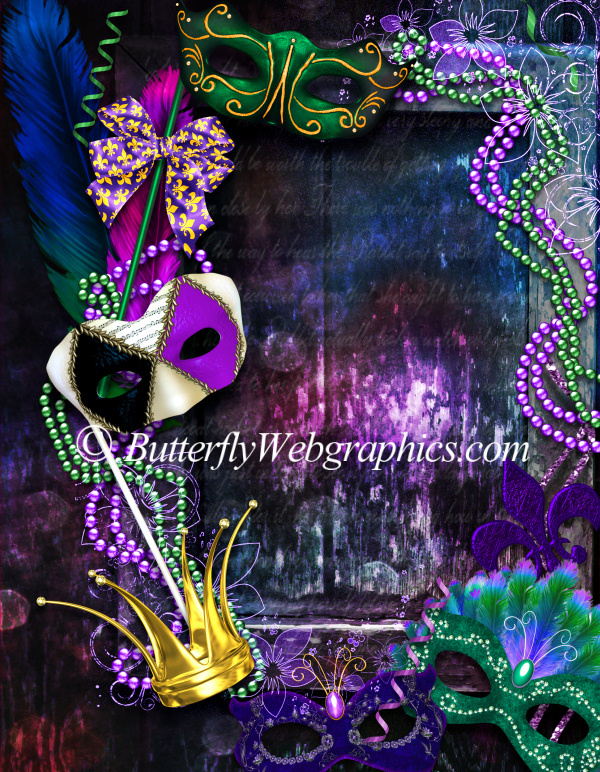 Create a Mardi Gras scene, card, scrapbook page, or other design. The watermark isn’t on the actual images. Versions without the Mardi Gras theme are included. Not all are shown. 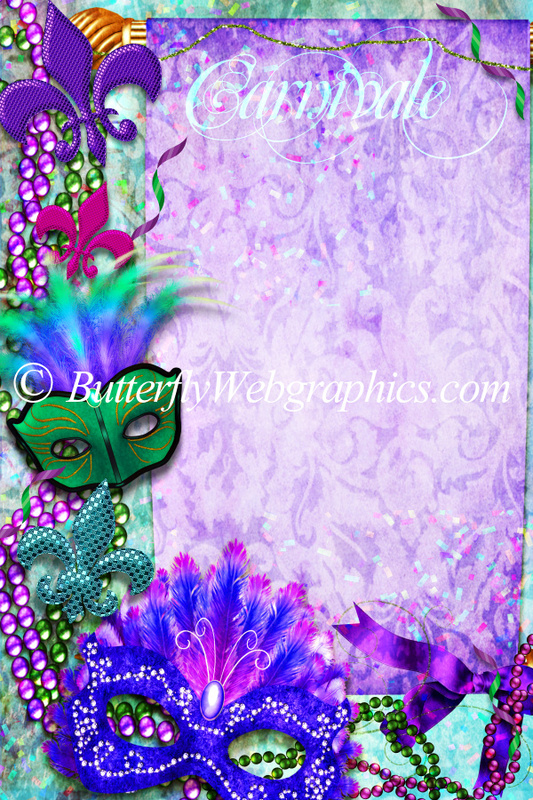 Create stunning Mardi Gras designs! 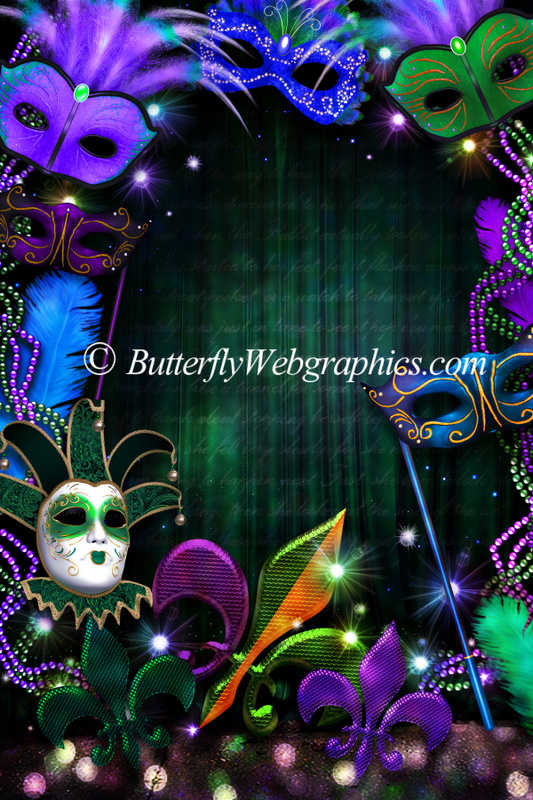 A package of electric Mardi Gras backgrounds that are nothing short of delicious. Celebrate this zany and fun holiday with bright and stunning color. 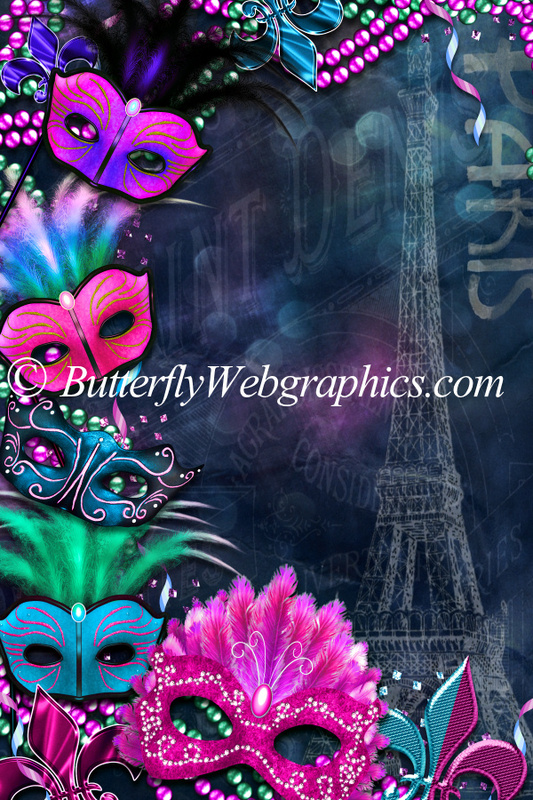 These graphics are nothing short of electrifying, capturing the spirit of Carnivale. 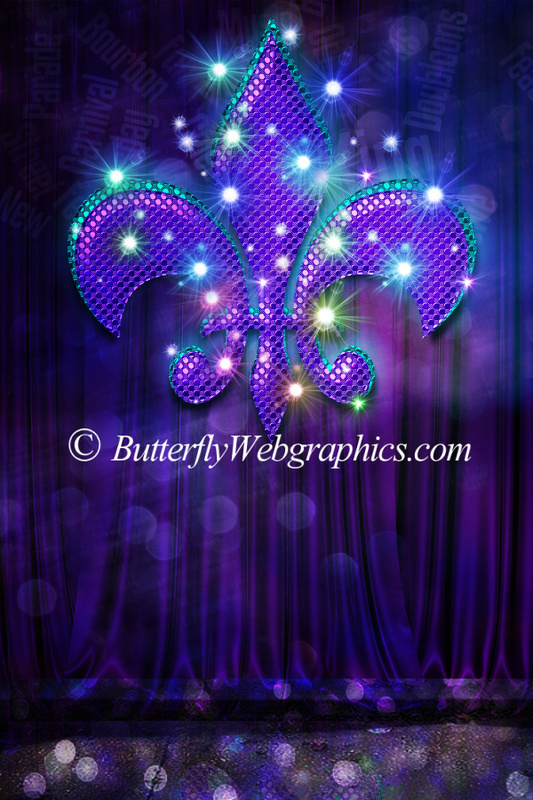 There are plenty of vibrant backgrounds to choose from–everything from masks to a sparkling fleur de lis. And best of all, they aren’t just for Mardi Gras. 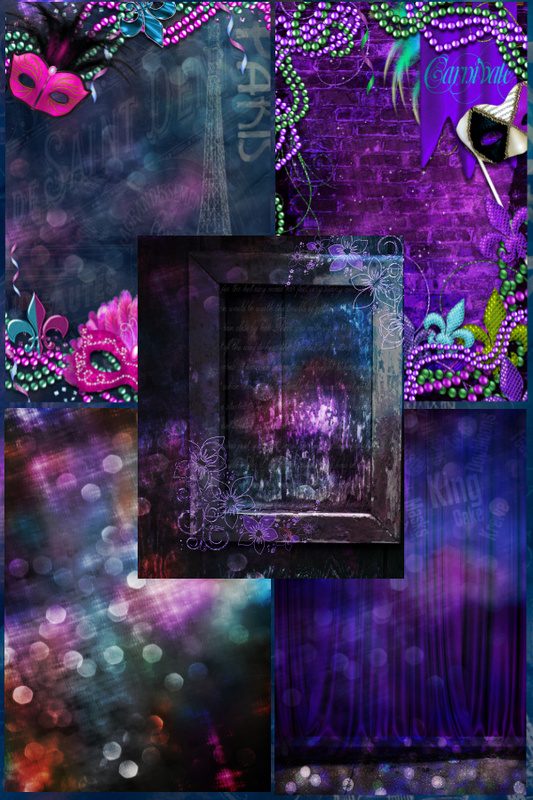 I’ve included a “blank” version of each of the seven backgrounds, which don’t have the Mardi Gras theme graphics so that you can use them for any type of design all through the year. Alternates of two of the finished backgrounds are also included. The background on this page is also included. 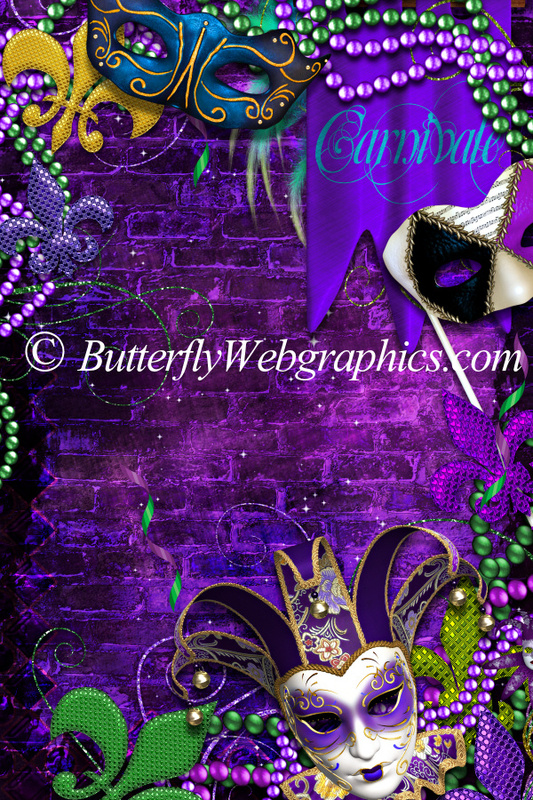 Most of the images I used to create these backgrounds are from my other Mardi Gras packages. You’ll find more here. 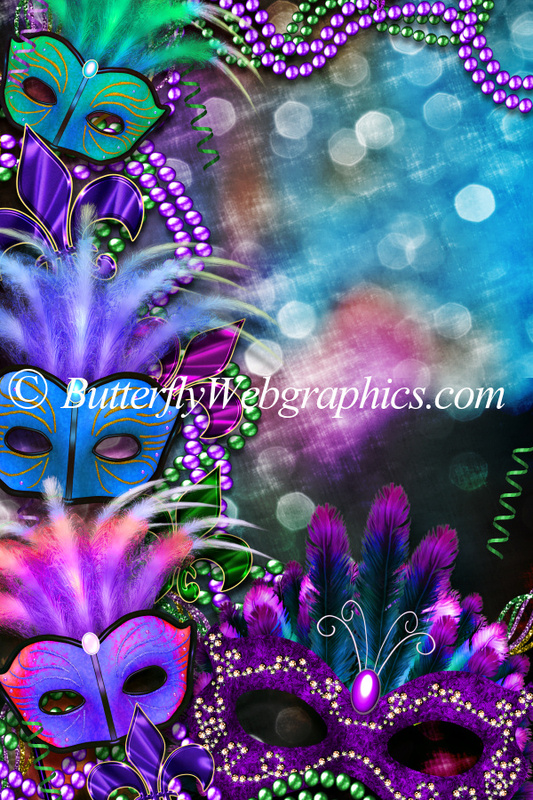 We have one of the biggest Mardi Gras graphics collections online. The size of these background images is 2400 X 3600 pixels. All are 300 DPI, making them great for print projects. This package is four zip files, which are about 46-57 MB.